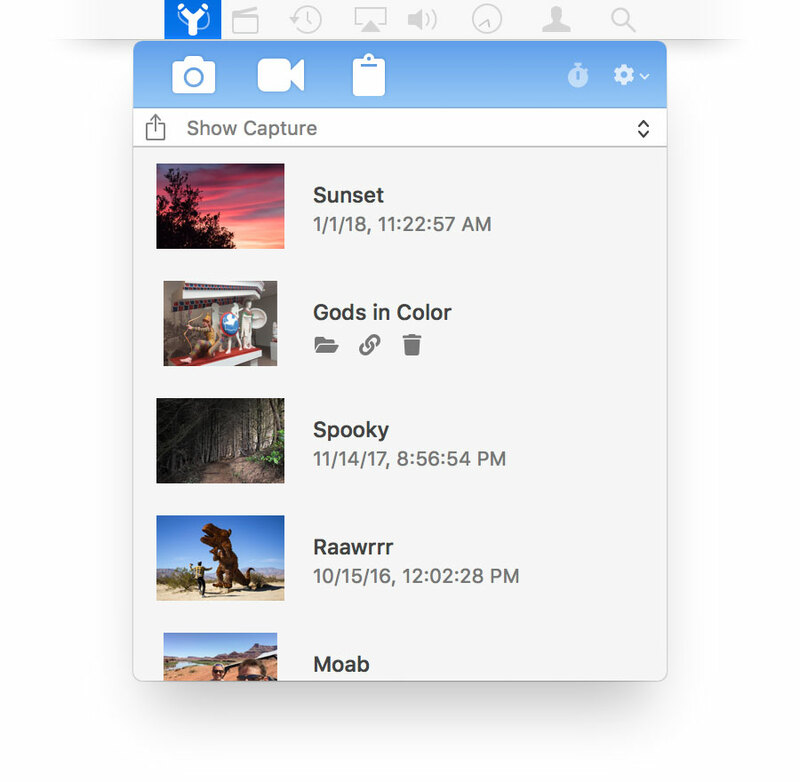 Quickly share images and recordings from your Mac. Capture and share screenshots and recordings. That's a lot of functionality just one click away. You can even drag and drop images straight onto the icon in the menubar to share them. Keyboard power user? Linkshot has customizable keyboard shortcuts for capturing a screenshot and capturing a screen recording. 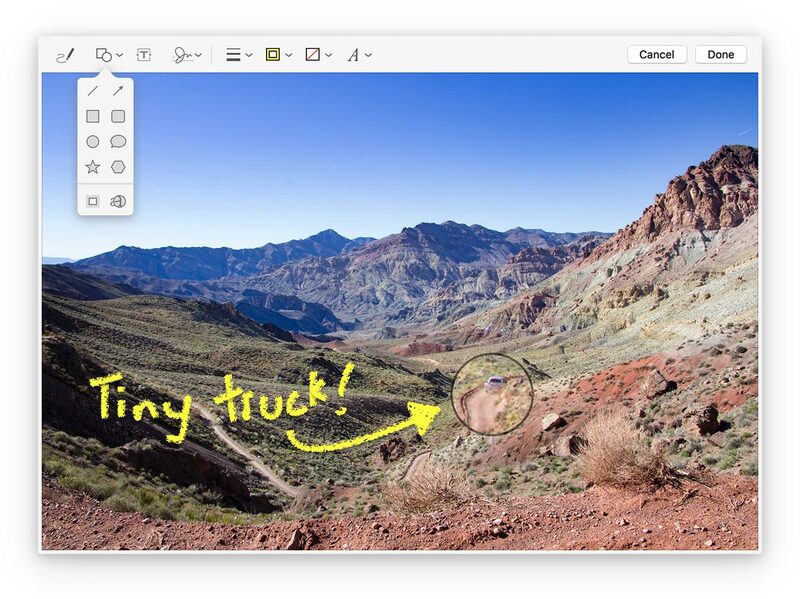 In the capture window, markup, copy to the clipboard, drag to another location, or share to a destination. Unlike the built-in screenshot feature in macOS, never have to deal with files cluttering up your Desktop, or having to hunt and find the right file. In Linkshot, it's immediately there, and never in your way. You can even drag the capture and drop it anywhere, avoiding the need to hunt for the screenshot file in Finder. Need to highlight, add arrows, labels, or callout to something important? No problem. With Linkshot you can markup images before sending them on their way. 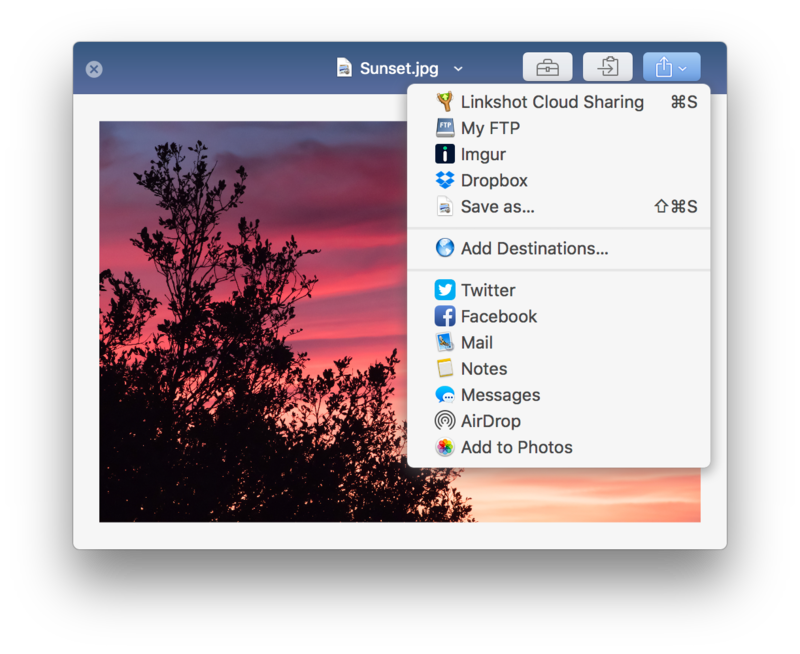 Share the capture to any of your designated destinations (FTP, Imgur, Dropbox...), or use any of the system-wide share services, such as Twitter and Facebook. In Preferences, you can setup automatic sharing to a chosen destination. Linkshot Cloud Sharing links last for 30 days, uploads limited to 500 MB in size. 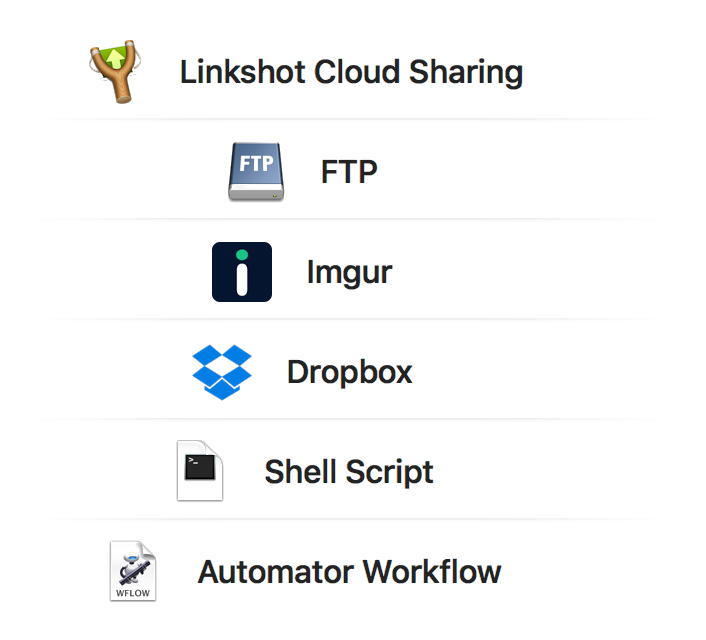 Linkshot also has a companion subscription web-service which lets you upload and share images and recordings via the Linkshot website without needing your own server, and without any ugly and distracting ads.